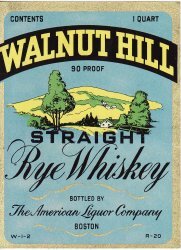 Walnut Hill Brand Rye Whiskey Label. Vintage, original Walnut Hill Rye Whiskey Label. Bottled by American Liquor Company, Boston, Massachusetts. This mint original label from the 1930s measures 2.6x2". This label was for a half pint bottle. 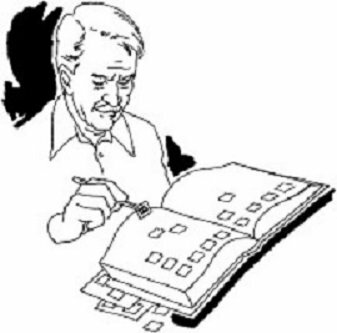 Image of a farm scene. Shipped flat in a sturdy envelope. Ready to frame. Original historical labels. Colorful paper labels used for many years to identify and advertise the bottlers and were affixed to the bottles, or containers. Labels are all guaranteed to be original.